The Mute Gods is a solo project for bassist Nick Beggs. Beggs has become a well known bassplayer in the prog scene, having played with Steve Hackett, Steven Wilson, Fish on Friday and Lifesigns to name a few. 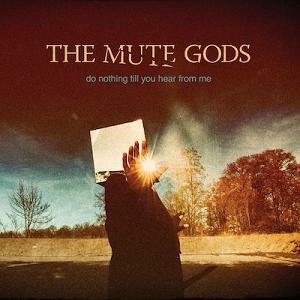 The Mute Gods are Beggs along with drummer Marco Minnemann (Steven Wilson band) and keyboardist Roger King (Steve Hackett). Do Nothing Till Your Hear From Me will be released on January 22th, 2016.